want your audience to remember? Since so many of us are spreading the word about The Upgrade, we thought it would be useful to distill the information down into three key messages (but remember to always tailor content to your audience whenever possible). Message 1: In April 2015*, we plan to do a systems upgrade that will affect nearly everyone at the U. To be successful, we need your support... and patience! Three PeopleSoft systems will be upgraded: Campus Solutions (student systems), Enterprise Financial System (EFS), and the Human Resource Management System (HRMS). Where it makes sense, we are also moving from an overly customized system to a tried-and-true package solution. 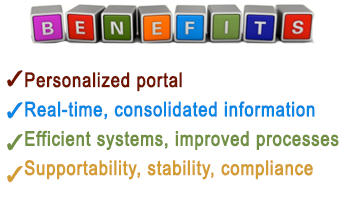 Other changes include a personalized portal; consolidated reporting; automated business processes; and better infrastructure. Tertiary systems may also be affected. You’ll need to learn new ways to do things, and we’ll give support and training as needed. As with any upgrade this big, we expect to have to work out some kinks, so please be supportive during this time. 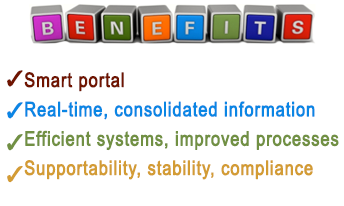 Support ongoing infrastructure efficiency, supportability, stability, and compliance. Provide benefits to faculty, staff, and students: personalized MyU portal, real-time information, automated processes, and consolidated reporting. Upgraded systems will be easier and faster for IT to maintain so we can focus more resources on our mission instead of on behind-the-scenes operations. Upgraded systems will enable improved processes, such as employee time management, purchasing, and accounting. And we’ll be in a better position to leverage new and emerging technologies. Message 3: The Upgrade will take one to two weeks. During that time, you won’t be able to use some systems. For example, some systems will have view-only information that is not "live." 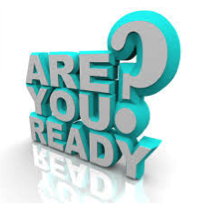 You will need to prepare -- we will help you. Because we are upgrading several complex systems in sequence, the process will take longer than previous upgrades. We are working to minimize the impact but you may need to take some actions beforehand, like making loan or vendor payments, entering and approving employee time, or making sure your software is up-to-date. We’ll help you prepare – please pay attention to future communications. 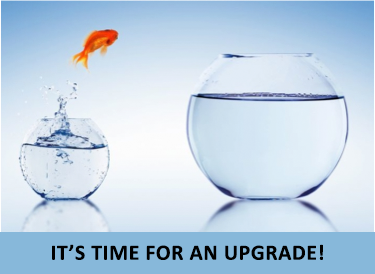 This change is complex, and even though we have taken a lot of precautions, it’s rare that an upgrade this significant would go off without a hitch. Please be an advocate during this time. We need your support and patience to be successful!